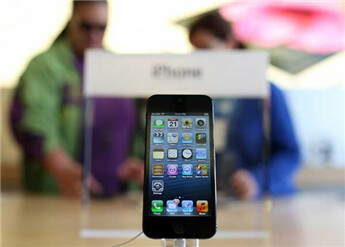 Topping recent deals for the Apple iPhone 5 from Best Buy and Radio Shack, Walmart is planning on cutting its price for the Apple iPhone 5 to $127. But hold on, put your car keys down. The deal isn't set to start until December 17th. And it isn't just the Apple iPhone 5 being discounted either. For just $47 you will be able to purchase the Apple iPhone 4S and the third-generation Apple iPad will be priced at $399. Of course, you will need to affix your signature to a two-year contract for the handsets. 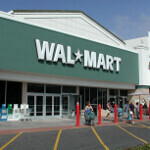 Walmart's pricing undercuts the Best Buy and Radio Shack deals by $23. Even Tar-jay Target is getting into the game with a discounted Apple iPhone 4S for Virgin Mobile. Starting December 16th, the price of the 16GB model will be cut from $499.99 to $399.99. That is an off-contract price, of course. It seems that when it comes to getting a great discount on Apple products this holiday season, if you're patient, the deals will come to you. Meanwhile in Germany, iPhone 5 starts at 670 euro, (~820 dollars) so i can't even consider one. The price of Apples handsets will decline for the second hand market if they start releasing two products a year. I dont know why people like this? I would rather see products stay around for 2 years and see a MAJOR change in the product and your device keep its value. This goes for any product. If this were true an iPhone 5s would be expected to come out soon already. I wouldnt buy the 5 anymore or any product unless I bought it on day one. Two years! That's practically ancient in mobile technology. Two years ago I had a single core phone with half a gig of RAM. No thanks. Things evolve, and quickly. Just be happy with what you have instead of worrying about resale value. Please take into consideration, that I'm talking about VERSIONS not different products. Let's suppose the Note 2 came out this year and the GS3 last. The Note 2 would be released in 2014 and GS3 in 2013. So there would always be a new product on the table and Samsung would benefit by a higher profit margin because older technology is worth less and would stay in the market longer at a higher price. Different models would have different release dates, but the phones verison would have a two year changes. This is extreme, but I thought at least once a year was pushing it. This drives any technology to dirt cheap prices. Now with the new plans, the new phones will be for say $900 then $400 or less in 6 months. Then $50-$100 by say a year. If you buy a phone at the last month of it's life. (6th month) That means by 1 year there would be two generations on top of it! I still think that thid Walmart deal is $126.9 9 overpriced. *sigh* just like with megapixels, number of cores don't mean much. The A6, like it or not, still performs admirably for an "obsolete" dual core processor compared to some of the newer processors like the s4 pro. Apple allowing these discounts is the surest sign that Android is winning the war. Android is winning the war clearly now sir. We see how the demand is high for Nexus 4, Droid DNA/Butterfly, Note 2, One X+ and even 6 month old GS3. And the fact that iPhone 5 cannot sell even with heavy subsidy in US speaks volumes. Walmart set that price for holiday sales and don't forget that Walmart is a retail top boss that has a lot of power. ???? apple allows this thats extemely weirld for a company that controls every thing including the pricing. I will only buy iPhone if it is the last phone in this world. That's after I couldn't find two empty cans and practically long enough string. Dumb bashing, dumb post, dumb dumb, and did I mention dumb. You took his iPhone bashing personal? Hey dude, I like your name a lot but you can't understand when people talk fuguratively? And THAT's dumb. Wow really, cuz they look pretty alive to me. Wow, this did not happen - at least that low - last year - good move - should help APPLE. Still not buying it when I can get an Note 2. I remember reading a lot of comments how all Android was doing was racing to the bottom with cheaper phones. Can't have a race without an opponent, now we know who that is. You couldn't GIVE me an iphone or pay me to set foot in a wal mart. I purchased my iphone 5 at Go Wireless 2 mo. ago for $199. I think this is outrageous that Apple should do such a thing.I have been a customer of Apple since the beginning and I feel I should get a credit back from the store or Apple for the difference. They obviously knew this was going to happen when they first put this phone on the market. I think by doing this people will hesitate to purchase anything new from Apple for fear it will be discounted a few mo. later. In the end it can hurt Apple and I think everyone should demand the difference back with the price that Walmart is selling it at. You always knew that Apple had the same prices everywhere so you didn't have to search for lower prices everywhere. Obviously this is not the case anymore. Phones should drop pricing as the technology gets older... Apple was the only company not doing it because they had their customers suckered.